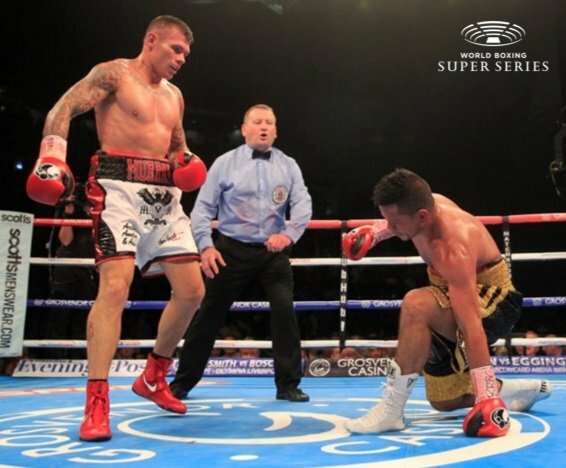 Martin Murray (35-4-1, 16 KOs) will face Arman Torosyan (18-3-1, 15 KOs) on the undercard of the World Boxing Super Series quarter-final contest between Callum Smith and Erik Skoglund on September 16 at the Echo Arena in Liverpool. Murray, a former three-time World title challenger, is back at the Echo Arena following an impressive victory over Gabriel Rosado on April 22, and the St. Helens man says he is looking forward to returning to his home venue as he looks to claim a third successive victory since dropping a points decision to the tournament’s number one seed ‘Saint’ George Groves. ‘’I’m buzzing to be back fighting at the Echo Arena,’’ said Murray. ‘’Obviously, I am from St Helens, but in terms of boxing venues, the Echo is my home. The Liverpool fight fans are the best fans in the World and I am just really looking forward to it, I always enjoy fighting in Liverpool. ‘’I had a good win in my last fight and felt good back down at middleweight, but there is nothing there for me at that weight so I decided to take this chance at super middleweight. There are arguments that I could have been a two-weight World Champion with the fights I have had at those weights. But whatever the outcomes, I‘ve proved I can mix it at both weights and that I’m World-class. Torosyan, the Armenian-born German, is coming off the back of a shock knockout victory over Danish prospect Abdul Khattab, and says he is confident of causing another upset when he enters the ring on September 16. Smith versus Skoglund kicks off the super middleweight bracket of the inaugural Muhammad Ali Trophy, and Murray says he is backing his countryman to progress to semi-finals as he reveals he is a fan of the tournament concept. ‘’I’ve never actually seen Erik Skoglund fight, but I’ve heard quite a bit about him. He is a big guy, and one of my mates has sparred him and said that he is a good fighter. But I really rate Callum Smith, I think he has already made the case for him to be seen as one of the best Super-Middleweights in the World. So I think it is a very good, interesting fight, but I am picking Callum to do it and take the win. Tickets are on sale now priced £35, £40, £60, £80, £100, £150, £200 and £350 (VIP) via Liverpool Echo Arena. Face value tickets are also available from www.stubhub.co.uk. StubHub is the official ticket partner and marketplace of the World Boxing Super Series.